Arrive in Beijing, the capital city of the People’s Republic of China where we will be welcomed at the airport and escorted to our hotel for check-in. 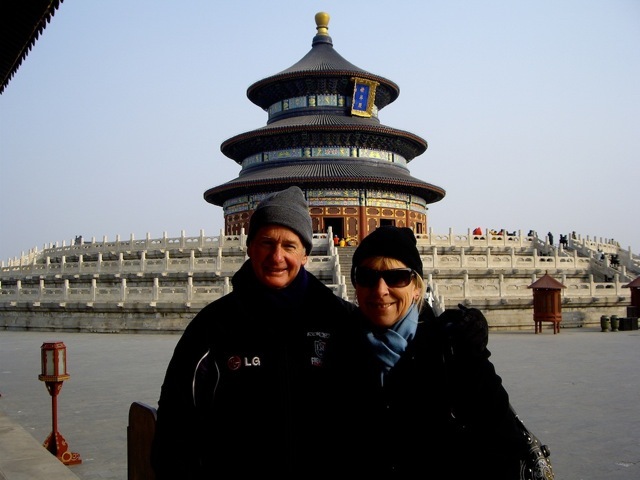 In the morning, we will visit the Temple of Heaven, a complex of buildings representing the pinnacle of Ming and Qing architecture built in 1420, including the Hall of Prayer for Good Harvest, Imperial Vault of Heaven, Circular Altar, and Abstinence Palace. The surrounding park areas are also alive with locals practicing Tai Chi, playing traditional musical instruments, enjoying a game of Chinese chess, or just chatting with friends. This afternoon is free for further exploration. In the evening, we will be served one of the most popular dishes in China at the Beijing Duck Dinner Party. After breakfast, we travel northwest of Beijing to visit China’s most famous attraction – the Great Wall of China. Built over 2,000 years ago, it stretches 4,000 miles across mountains and valleys in the northern part of China. We walk along a well-preserved section of this true wonder of the world, and admire the panoramic views. In the afternoon, we marvel at the former Imperial Summer Palace – the famous royal garden that was favored by the Empress Cixi in the late 19th Century. Tonight, enjoy an entertaining “The Legend of Kung Fu” show. We continue exploring Beijing’s famous sites with a tour of the vast Tiananmen Square, the largest public square in the world. We walk through the Gate of Heavenly Peace to the magnificent Forbidden City, which was home to the Ming and Qing dynasties for over 500 years. Afterwards, board your flight to Xian. 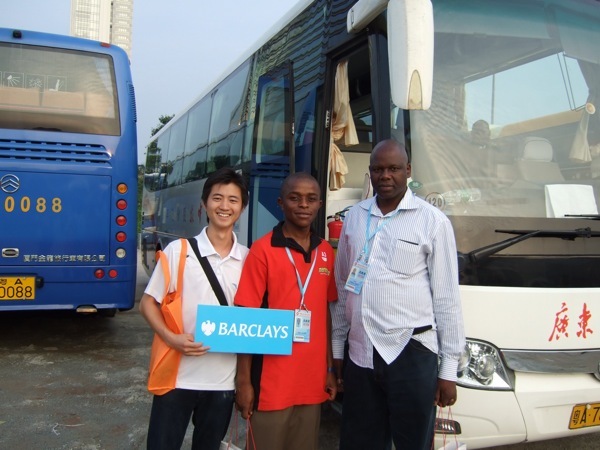 Your guide will pick you up from the airport ,which is 50 KM. to the city of Xian,and transfer to hotel. In the evening, you will take a chance to enjoy Local Specialty Dumpling Banquet and the Tang Dynasty Dance Show. A performance of Changan music and dance originated in China’s Tang Dynasty over a thousand years ago. This wonderful combination of colourful costumes, melodious tunes and ancient history is a living, breathing work of art-an extravaganza not to be missed. After breakfast, tansfer to Terracotta Warriors. Terra-cotta Warriors and Horses Museum is the Eighth Wonder of the World. More than 6,000 different looking pottery figures depict the history of the Qin Dynasty from 221 BC-206 BC. Take sightseeing in this attraction for about 2 to 2.5 hours. Drive back to visit Great Mosque. It is one of the oldest, largest and best-preserved Islamic mosques in China. Occupying an area of over 12,000 square meters, the Great Mosque is divided into four courtyards, 250 meters long and 47 meters wide with a well-arranged layout. Landscaped with gardens, the further one strolls into its interior, the more serene one feels. Then transfer to airport , take flight to Chengdu. Drive to visit Chengdu Panda Base. The Chengdu Research Base of Giant Panda Breeding is located in the northern suburb of Chengdu on Futou Hill. It is 10 km from downtown Chengdu. The Research Base is one of the important centers in China for the captive conservation of giant pandas. Giant pandas at the Chengdu Research Base live in large naturalistic habitats, which help the visitor to understand how these animals live in the wild. Then continue drive to Mt.Emei, enjoying countryside views of the Chuanxi Plain.on the way (two hours along expressway). Overnight in the hotel on the foot of Emeishan. Set off from the hotel at 7:00am by tour bus to the cable car station, where you will begin your ride to the the highest summit of Mt. Emei, the Golden summit. 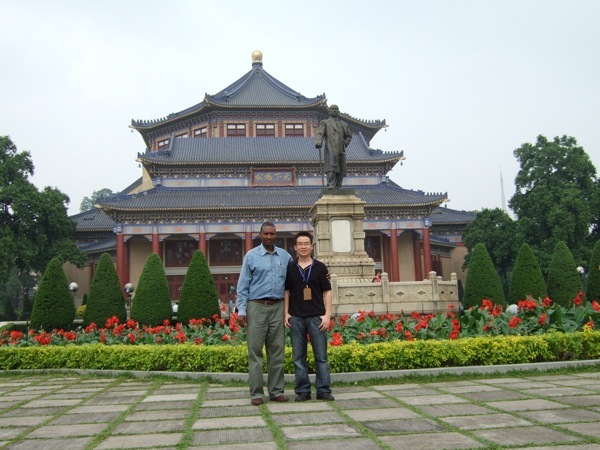 Have a look around the Golden summit including Huazang temple. After lunch,Take the cable car down and take the bus to Wanniansi parking lot which is located halfway up Mt. Emei. Take another cable car to visit Wanniansi temple. Drive half an hour to Leshan, board a tour boat have a panoramic view of the biggest carved Buddha statue on the world. Then continue drive about 2 hours from Leshan to Chengdu Back to Chengdu. 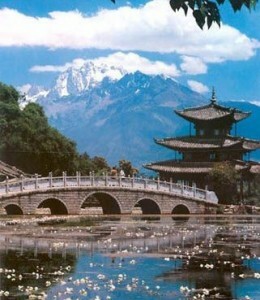 Take the flight from Chengdu to Lijiang.The local guide will meet you in the airport,and drive about 26KM to Lijiang. Lijiang is an ancient town at the foot of the Jade Dragon Snow Mountain in northwestern Yunnan. It was put on the World Cultural Heritage List in 1997. The ancient Dayan Town of Lijiang was located on the plateau which is 2,400 meters above the sea level and embraced by the tree-covered Lion Mountain in the west, Elephant and Golden Row Mountains in the north, vast fertile fields in the southeast. The old town , a well-preserved old city of ethnic minorities with brilliant culture, is the center of Lijiang Naxi Ethnic Minority Autonomous County. Owing to it’s unique ethnic culture and urban layout, this old town is praised as the “Oriental Venice” and “Suzhou on the Plateau”. Visit Ganhaizi Meadow, Baishui River and the Yak Meadow in the Yulong Snow Mountain, it’s situated some 15km north of Lijiang County.The summit’s semblance to a crystalline jade dragon gives the mountain its name. Access to the top of the mountain is provided by a cableway from the foot of the mountain to the Yak Meadow. In the afternoon, we’ll go to Yuhu Village and visit the former residence of Joseph Rock, famous botanist and expert on Naxi culture. And then,we’ll stroll through Baisha Village, which is an enchanting traditional Yunnan village, At last, we’ll drive back to Lijiang to visit the Black Dragon Pond and Dongba Museum of Naxi people. Night walk around in the oldtown. (Optional:Night enjoy Naxi Orchestral and Dance in the Old Town.140RMB/each). Early morning drive about 100KM to visit Tiger Leaping Gorge,which is the deepest gorge in the world,about 3900M deep,here you will see the wonderful mountains bank of Yangtze River.if you have more days in Lijiang ,you can go to trek along the gorge ,it is the most wonderful trekking in the world .Lunch at the bank of Yangtze River,After luch we will drive 60KM back,and visit the Shigu(Stone Drum) Old Town and witness the beauty of the First Bend of Yangtze River.Then drive back to Lijiang .Dinner in the local family in Huangshan Village about 5 km away from Lijiang Old Town. After breakfast, travel (200 km – 4 hrs) south on the old road to the ancient city of Dali. If this day happens to fall on a Monday we will call in at Shaping for a visit to the colorful Bai market. When you arrive at Dali, you will visit Xizhou Bai ethnic Village first, After lunch start the Erhai Lake cruise, in the ship you will taste Bai ethnic Tea and enjoy the typical Chinese tea art performance. Late afternoon, visit the honorable age-old Three Pagodas, symbolizing the outstanding architectural technology, the wisdom of the ancient laboring people and the brilliant culture of Dali. Enjoy some time in the restored city center. At night relax in Dali Old Town. Take the early morning flight to Kunming, then drive about 90KM from Kunming to the Stone Forest, which is well-known as the most beautiful Carst Landform in the world. Here you will see a lot of girls and boys from Sani peple which is a brance of Yi minority in China.After the Stone Forest ,drive back to Kunming,the Capital of Yunnan.then visit the local Bird market. Dinner taste Yunnan Bridge Crossing Noodles. Take the morning fliht to Guilin. Rest of the day is free at leisure. In the morning ,take the Li River cruise down to Yangshuo，on the West street you can go shopping and sightseeing，in the evening，enjoy a Cormorant Bird Catching Fish. After breakfast，your guide will meet you and transfer you to LongJi，(about 2. 5 hours)，climb up to the top of hill to visit the Dragon’s Backbone Rice Terraces . 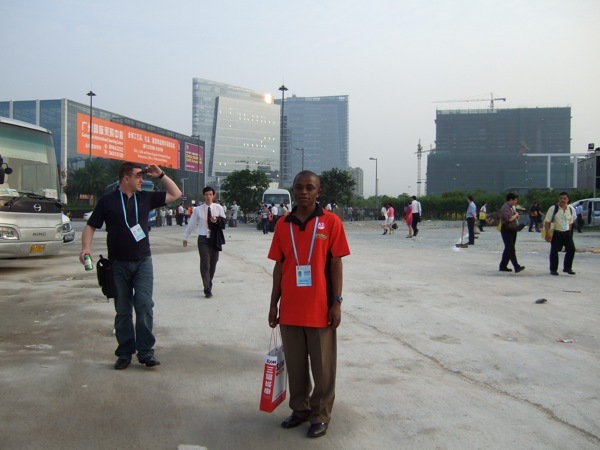 Fly to Shanghai, which is an intoxicating blend of ancient culture and a ultra modern mega city. Visit Yuyuan Garden , Oriental Pearl TV Tower (the highest TV Tower in Asia ), walking along the Bund (a myriad of European-styled buildings that face the Huangpu River, home to chic restaurants and shopping opportunities), visit Yufo Temple. After breakfast, transfer to Shanghai Pudong International Airport to board your flight back home.